Say hello to lightness without saying goodbye to functionality. 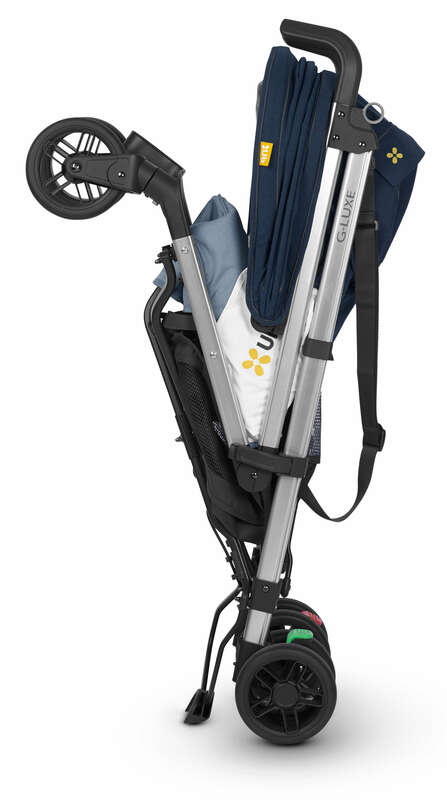 Comfortable and agile, the G-LUXE is feature-packed yet nothing will weigh you down. Life moves fast, and the G-LUXE moves with you! Flexibility every parent needs! Whether running errands or catching the sights during naptime, your child can sleep comfortably in the reclining seat with adjustable footrest. 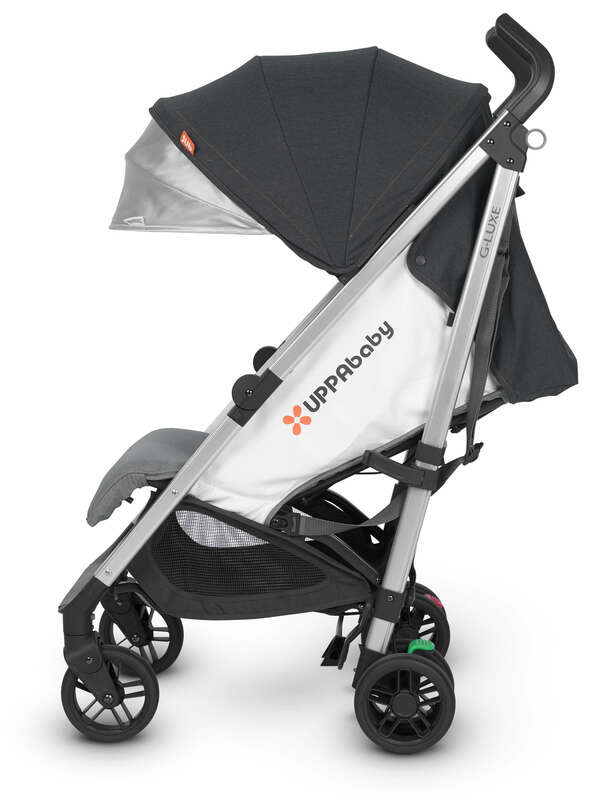 UPPAbaby's pop out sunshade extends to shield your child from harmful UV rays, allowing you and your child to enjoy the sunniest of days together! Hand-level triggers make it easy to fold the G-Luxe with just your fingers (no foot action required). Once folded, it can stand on its own. Great for storing! 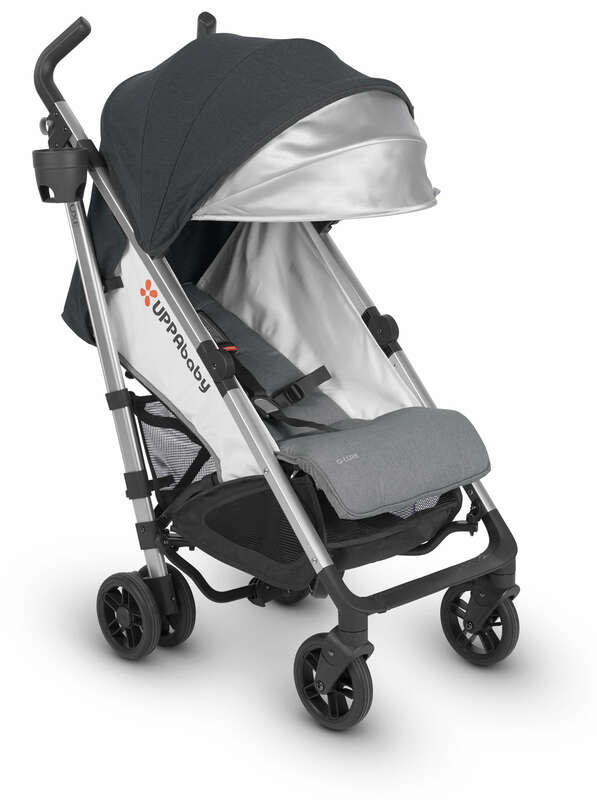 This G-Luxe stroller is usre to become your favourite travel accessory. At just under 15lbs, you can easily pick up and carry over your shoulder with the convenient carrying strap. 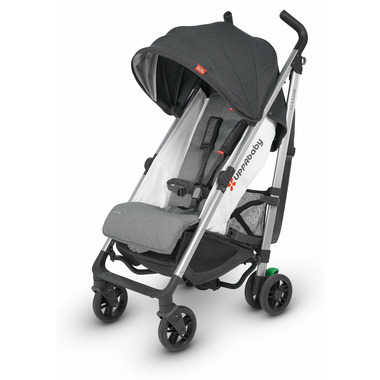 Whether boarding subways or maneuvering off curbs, with one simple click, your stroller is brought to a safe stop! 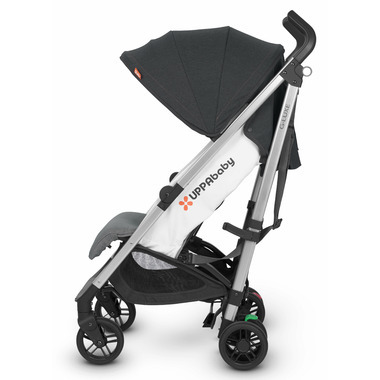 Please Note: Image of folded stroller is shown in a different colour.